Review: A cure is found to treat mutants. They now have a choice and that is to retain their uniqueness or to give up their powers and become human. 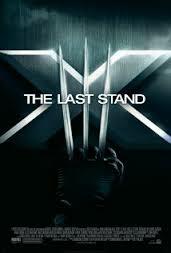 Not the best X-Men film but still good. There is only one director for me who can do a good job of the X-Men films and that is Bryan Singer. Bryan Singer said after this X-Men film that he regrets declining the job.